Reduce the emissions put out by your vehicle while simultaneously improving its performance with a new exhaust from Rockville Auto & Truck Service. We provide replacement exhaust systems of every kind, giving you the chance to choose the exact sound and performance enhancements you desire. Our exhaust repair shop in Rockville, MD, can also fix your existing exhaust to make it work efficiently. With extreme temperature changes and salt on the road during the winter months, your car's exhaust system needs regular maintenance. Our auto shop provides thorough exhaust repair services to give your vehicle a smooth and quiet ride. 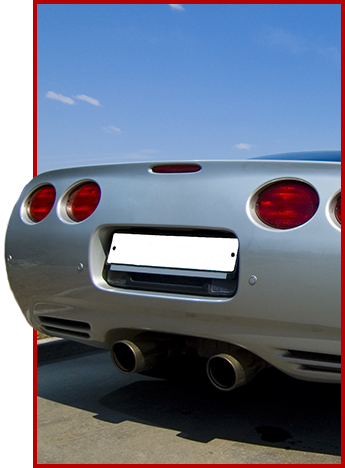 We have automotive parts and professional expertise to repair virtually any problem for all types of exhaust systems. Our mechanics will improve the overall efficiency of your exhaust. Doing so reduces the amount of emissions your vehicle puts out and increasing its horsepower. Once we finish with your exhaust you should notice your vehicle sounds and feels more powerful than before. Your car's exhaust system directly affects the engine performance. A well-maintained exhaust helps your engine eliminate emissions more efficiently, which in turn keeps the engine in better condition. Emissions are also hazardous to your health. We make sure that your vehicle's emissions discharge from the proper areas and do not flow into passenger compartments. You will enjoy a cleaner and more fuel-efficient ride when you allow us to repair or replace your exhaust. Customers count on us to provide affordable solutions when they need exhaust systems repair work. You do not want to wait until your car's exhaust fails completely before coming to us for assistance. If you wait to receive repairs you need, you face a number of other automotive problems. That is why you should know what to look for when it comes to exhaust problems. One sign is an abnormal, loud rumbling sound coming from your vehicle while you are driving. This could indicate one of the many components that make up your exhaust system is damaged or loose. Another sign is if you feel your car vibrating while driving, which is usually due to a fluid leak. Not only can this damage your exhaust over time, it also makes your vehicle less fuel efficient. Watch out for these signs and visit our auto repair shop as soon as you suspect there is a problem. Contact us today to discuss any kind of automotive problem you have been experiencing. We are conveniently located to serve customers in Rockville, Damascus, Gaithersburg, Germantown, and North Potomac, MD.